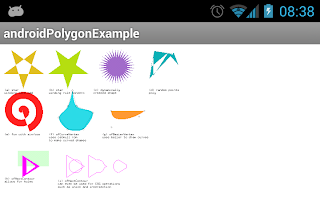 This is just an openframeworks polygon example. But it is running on both my Nexus 7 and my Galaxy Nexus. This means I have the dev environment all setup to build something and it's alive. There are some camera issues on the Nexus 7, but enough toys for exploration nevertheless. This installation process worked mostly augmented by this thread on the openframeworks forum. Using the development branch of openframeworks on github. So, hmmm, decisions, decisions will it be processing or openframeworks for this project, or maybe one of each. 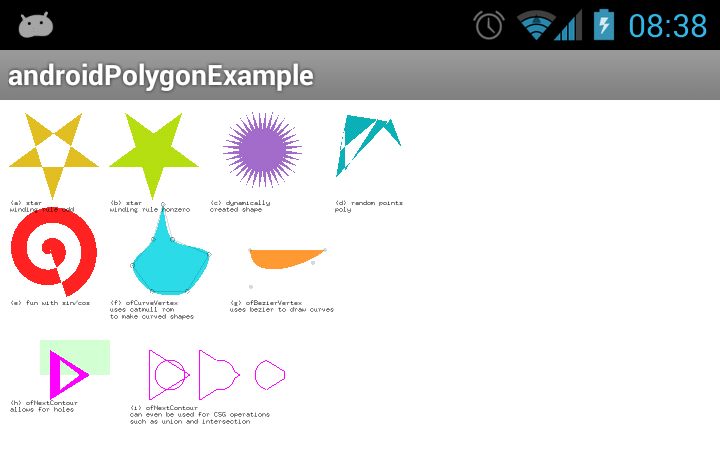 I´m also starting a project on a Galaxy Nexus, and with the same question, Processing or Frameworks. I´m interested to see which one will you pick. After choosing, can you explain why did you choose?